Move over kale! Cauliflower is the hot new veggie these days, although this amazing vegetable has been keeping people healthy for centuries. You can make a vegan cheese sauce with it, make soups creamier with it, and make pizza crust, mashed “potatoes,” and buffalo wings with cauliflower. It’s so much fun to get into the kitchen and see what you can create, but sometimes you just want to cook something simple and quick that you know is going to be delicious. That’s when I turn to the good old standard of roasted vegetables—in this case, cauliflower. In the recipe below, I layer this amazing white vegetable with an herb pesto that assists your body in its daily detox job and quinoa for protein. Personally, I love pesto and any variation of this green sauce is always exciting to me. If you don’t prefer any of the herbs used in my recipe, just change it. That’s the beauty of pesto—it’s a playground of tasty creativity. This recipe is a perfect summer dinner with not so much time in the kitchen and plenty of time for an after-dinner walk or play. Enjoy! Preheat your oven to 425 or 450 degrees Fahrenheit. Add chopped cauliflower to a large roasting pan. Massage with coconut oil, garlic powder, sea salt, and black pepper. Roast for about 30 minutes until tender. Remove from the oven and coat with Detox Pesto. Serve on top of quinoa and mixed greens. Add quinoa and liquid to a pot over a medium flame. Bring to a boil, then lower the flame and cover. Simmer the quinoa for about 15 to 20 minutes. The quinoa should be tender. Combine the cilantro, parsley, mint, pumpkin seeds, and garlic in a food processor or high-speed blender. Blend until finely chopped. Add the lemon juice and slowly add extra virgin olive oil in a steady drizzle. Blend until the mixture becomes a smooth, light paste. Add enough olive oil to keep it moist and spreadable. Season with sea salt and black pepper. Cover tightly and chill in the refrigerator for at least 1 hour before serving. Store in an airtight container in the refrigerator for up to 3 to 4 days. Did you try the recipe? Leave a comment below, and let me know what you think! Cauliflower is the hot new vegetable lately. There are so many things you can do with this white wonder of goodness. I’ve used cauliflower in a vegan Alfredo sauce, as a thickener in soups and roasted with other veggies. Today, I want to share a wonderful, simple dinner recipe to help you with your weight loss goals and keep you slim and trim. Cauliflower is an antioxidant powerhouse helping you look young and healthy. Its fiber acts as a digestive aid to keep thing flowing and has sulfur-containing nutrients that help your body detox. This heart health- boosting vegetable is very versatile, filling and easy to make. If you are preparing your cauliflower rice from scratch, simply chop the head into smaller florets. Use a box grater to grate the cauliflower into smaller granules of “rice.” Alternatively, you can chop the florets in a food processor or blender in batches until you get the consistency of rice. Many stores also sell raw cauliflower “rice” in a package in the produce aisle if you are looking for a shortcut. Add the coconut oil to a large sauté pan on high heat. Once the oil is melted, add the cauliflower and sauté for about 5 to 8 minutes. Add the thyme, sea salt, and black pepper. Serve with your choice of salad or other sautéed vegetables. * If you don’t like thyme, try another spice. Make it Italian with basil and oregano or add cumin for a Mexican flavor. **Please add any side veggies or beans to make this a full meal. Did you like this recipe? Leave a comment below and let me know what you served with the Cauliflower Rice. Over the month of February, I’ve been sharing videos on weight loss, healthy eating and yoga. Today I wanted to give you a recipe that will keep you healthy as we round out the winter season. This delicious dish is grounding from the acorn squash, warming form the garlic and easy to make. Drizzle the coconut oil over the cut side of the acorn squash. Place it flat on a baking sheet. Bake for about 1 hour. Top with sea salt and black pepper and Garlic Brown Rice (below). Add the brown rice, water, garlic powder, and sea salt to a pot. Cover and let it cook for about 20 minutes until the water is absorbed. If the rice is not yet soft, add a few tablespoons of liquid and cover for about 5 minutes before serving. *Feel free to use any other grain in this recipe. If you your not eating grains, sauté kale or collard greens with garlic and seasoning and stuff your squash with the greens. There are many ways to make this recipe versatile. ** Double of the recipe for leftovers the next day. I would love for you to leave a comment below and let me know if you made the recipe and if you made any changes. Happy February! If you think about it, spring is just around the corner. I’ve spoke to many women in the past month who are still struggling with their weight. They’ve tried the packages and frozen food programs that are available promising wonderful results. 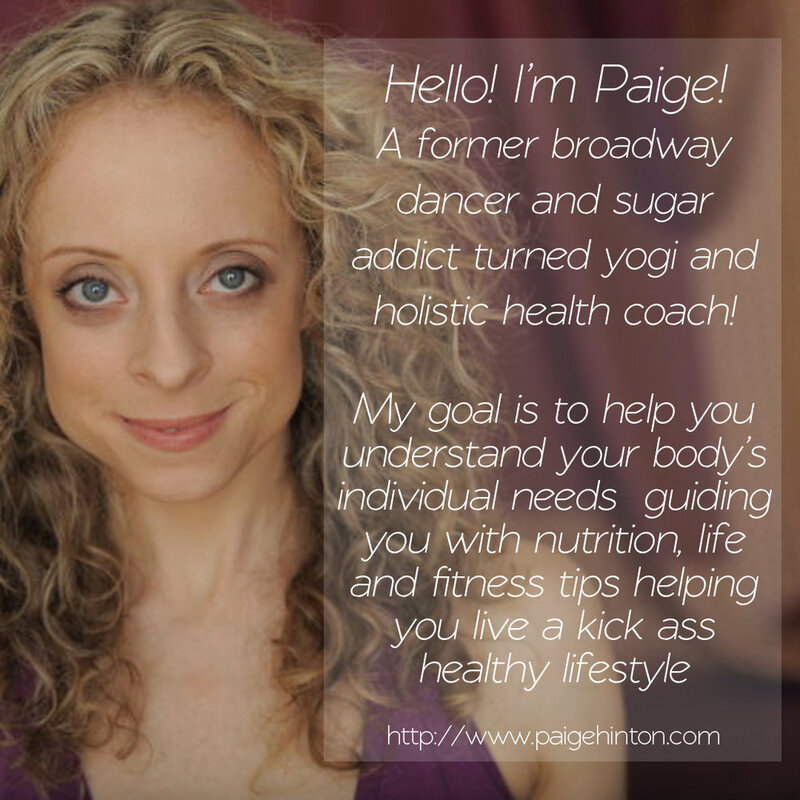 If you’ve been following my blog for a while, you already know that I DO NOT like boxed foods or boxed food weight loss programs. I must admit, I went through a phase where I counted calories and fat grams. However, I always seemed to lose track and would get frustrated with my lack of note taking and worry that I would gain a pound that day. So, to take care of my less than stellar food records, I thought it was a great idea to eat protein bars as a meal because I knew the exact calories and fat grams were. It was easy and fit my on-the-go lifestyle in NYC. It was so easy to walk and eat a protein bar. Here’s the thing y’all, your body knows how to use the nutrients in an apple, kale, or avocado. Your body gets stressed when you put man-made foods into your body that, to be honest, shouldn’t be ingested. AND, when your body is spending all its’ time “trying” to digest the crappy and addictive foods, it has no time or power to remove toxins, which can lead to weight gain, illness or possibly disease. Just to let you know, after studying more about nutrition and deep personal work through journaling, yoga, meditation and giving myself a big talkin’ to, I decided to let go of the wrapped tasteless bars covered in plastic chocolate and eat real food and that is what I’m suggesting you do to…EAT REAL FOODS! So easy, right? I know, I know. It’s not always easy. We put everything else before our health. I’m guilty as charged. With some preplanning and batch cooking (cooking many meals in one afternoon and freezing or packaging for weekly meals) you can be ultra prepared for a week of homemade foods that were form the earth full of everything your body needs to thrive. I can’t tell you how much better I feel mentally and physically with this change in my lifestyle. You have to try it for yourself. I double dog dare you. To help you on your journey off of food wrapped in plastic and cardboard, I’m offering you a pumpkin soup to get you started. It’s so easy to make and full of nutrients. Having fresh prepared meals is your tool to success in staying away form packaged foods, getting all your vitamins and minerals in and weight loss. Add the chopped pumpkin, garlic, onion, vegetable broth, coconut milk, cinnamon, nutmeg, sea salt, and black pepper to a large pot over high heat. Cover and let it boil. When the soup begins to boil, turn down the heat to medium and allow the pot to simmer until the pumpkin is soft (about 20 minutes). You can serve the soup as is, or you can blend the soup using an immersion blender or high-speed blender. Serve topped with pumpkin seeds. Leave a comment below and share how you’re treating yourself to amazing cuisine you cooked yourself. Temperatures are crisp and cool in the evenings and vibrate colors are starting to explode on the trees. Fall has finally arrived! With the arrival of cooler weather, thoughts of delicious, homemade soup come to mind. I have a great lentil soup recipe to warm your body and soul. Take time this week to get in your kitchen, chop a few veggies and watch your lentils turn into a delicious and nutritious brew of goodness. This lentil soup recipe is a great meal as the weeks get cooler. It will keep you full and satisfied while keeping your body slim and healthy. CREATE YOUR SOUP BASE: In a large pot, add coconut oil. When the oil is hot, add cumin seeds and cook until fragrant (about 1 minute). Then add your minced onion, celery, garlic, ginger, carrot, and bay leaf. Sauté until soft (about 2 to 3 minutes). ASSEMBLE THE SOUP: Add brown lentils and broth (or water) along with sea salt and pepper. Cover and cook on medium-low heat for 30 to 45 minutes, stirring every 15 minutes. The soup is done when the lentils are tender but still holding their shape. SERVING SUGGESTION: Add greens like spinach or kale at the end if you would like. Allow the soup to settle for about an hour before eating for the best flavor. I add the greens in when the soup is done cooking and stir for 30 seconds to allow the greens to soften. Leave a message below and share your favorite way to warm the body during the changing seasons. This salad is quick and easy to make for anyone short on time. Place all ingredients in a mason jar and shake. Wa-la! *This recipe is a variation from a salad dressing recipe in The UnDIet Cookbook by Meghan Telpner. It’s HOT, HOT, HOT and I love it. During this glorious time of the year I keep everything simple and extremely fresh. I eat a lot of fruits, raw veggies and salads to help combat the heat. Every once in a while I want a nice cooked, hot meal for dinner during the summer. That’s why I created this great Sautéed Swiss Chard with Garbanzo Beans recipe. The below recipe is pretty basic. There is plenty of room to play with spices, herbs and maybe more garlic to create your own version of the dish. Here is a bonus – this is a detoxing, weight losing, healthy living, and lifestyle friendly recipe to keep you looking good in your summer wardrobe. Add coconut oil to a hot pan. When the coconut oil is melted, add the chopped onion. Sauté for about 3 minutes until the onions are translucent. Add the Swiss chard. Sauté until the Swiss chard is wilted. Next, add the garlic, garbanzo beans, sea salt, and pepper. Remove from heat and serve. * Please add any spices you’d like to up the jazz up the dish. I want to hear from you! Let me know what you think about the recipe. Did you use different spices? Can’t wait to hear from you!